Sooner or later, your team's best player is going to leave. 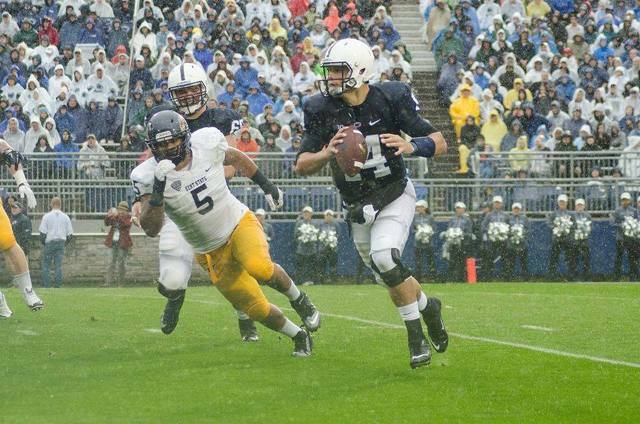 And the same goes for Penn State quarterback Christian Hackenberg. Be it at the conclusion of this season or the next, his time at Penn State will run its course. Who follows in his footsteps is perhaps the biggest question facing the program's immediate future. So as Cincinnati, Ohio quarterback Sean Clifford announced his verbal commitment to the Nittany Lions on Monday morning it marked yet another option in a post-Hackenberg life. Clifford, tabbed as a four-star recruit according to 247Sports' Composite rankings, picked Penn State over 11 other programs including Pittsburgh, Michigan State, West Virginia, Louisville, and Kentucky. Clifford earned an offer from Penn State after attending camp in State College in late June. The 6-foot-2, 203 pound prospect had recently picked up an offer from Michigan State as well. On paper Clifford is the first commit for Penn State's 2017 recruiting class. More importantly, he is another option when it comes to finding the next player to run the Nittany Lion offense. In a perfect world Penn State would like to have five quarterbacks on scholarship according to Franklin. A high number perhaps, but an equally important figure in order to maintain depth. It's better to have too many quarterbacks than not enough. Maybe the most immediate example -- if Hackenberg is injured this season -- there are only two viable options behind him on the roster. Running out of quarterbacks is not all that likely, but running out of good options is. Right now, Penn State sits in a post-Hackenberg life with four quarterbacks on scholarship; Tommy Stevens, Trace McSorely, Jake Zembiec and now Sean Clifford. Depending on when Hackenberg does depart Happy Valley, Zembiec is the likely favorite to replace him despite the general mystery of never having seen seasoned McSorely play. Whenever it finally does take place, how a James Franklin run Penn State handles a truly open quarterback race will be a fun drama to watch unfold. But assuming that they all stay within the confines of the Lasch Building for the next several years, Penn State is going to have choices and options. And it has been a while since the program could say that. The busiest weekend of central Pennsylvania’s summer has come to an end. 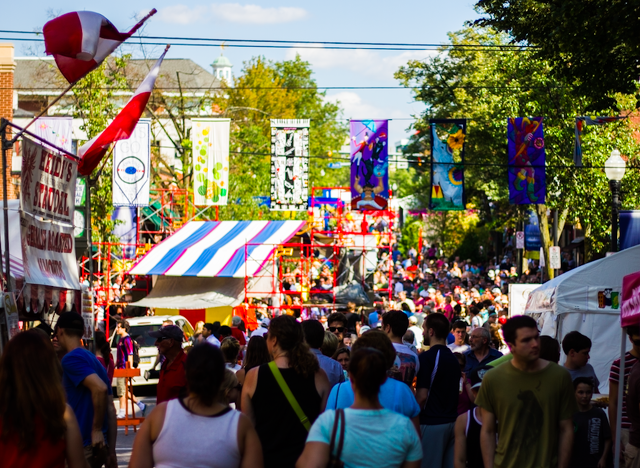 State College, Boalsburg, and even Lemont were transformed into meccas of art, music, and food. The 49th Central Pennsylvania Festival of the Arts and the 23rd People's Choice Festival wrapped up on Sunday after half a week of artistic celebration.